One of my favorite races to run is the New York Road Runners 5th Avenue Mile. It’s a fast, hard run – which is the type I race I don’t normally train for – but enjoy the challenge of it. 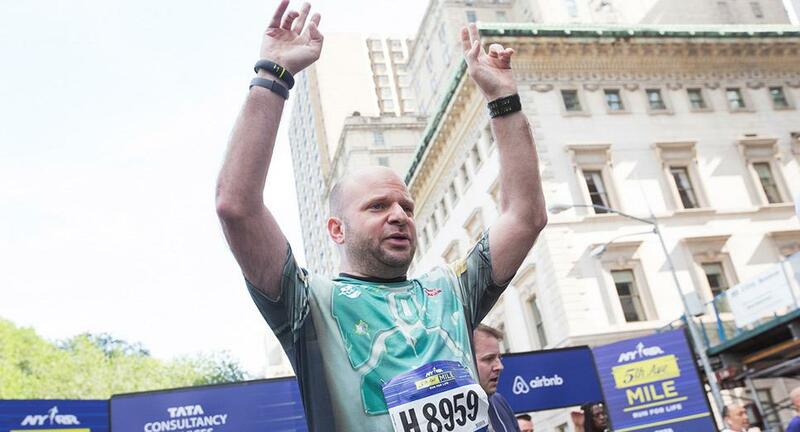 The prior times I ran the 5th Avenue Mile, I had been training for marathons, so my lessened training due to injury and lack of a marathon this year added additional challenges to my prior runs. Regardless, I hadn’t run it since 2012 due to conflicts with my schedule, and I looked forward to conquering it for the first time in three years. With the corrals organized by age and 15 minutes between each corral, my age group started our run at 10:25am. 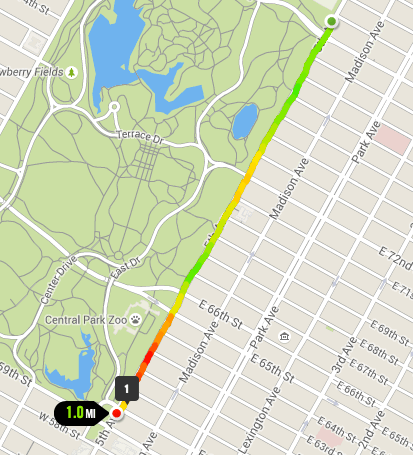 The gun went off and I crossed the start line at 80th street. The first few blocks south were a nice gradual downhill that let me build up my speed, knowing that the uphill part of the run was looming ahead. At 77th street, the incline began and the work to overcome the toughest part as it leveled off around 72nd street. With the sign for the half mile point just ahead of me, the downhill portion of the run began in earnest. I could see the finish line from there as I worked through the strain of muscles not used to being pushed this hard for this long. Focusing on the finish line for the entire second half of the run helped as I headed towards it and completed the race. I was able to finish my third 5th Avenue Mile in 6:44. I was very happy with my time, but it wasn’t quite the performance I put in in 2012, when I did it in 6:17. Regardless of not getting close to my PR, I was happy to be out there and running it again, completing another race that brings me one step closer to the 2016 NYC Marathon.